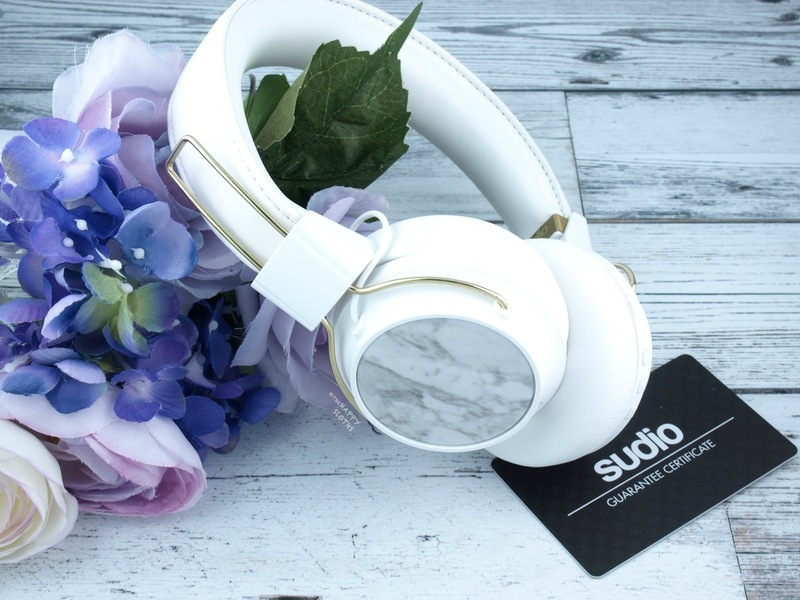 Available in both white and black, the Sudio Regent Headphones feature a padded headband with a soft leather finish. It's not indicated whether the material is genuine so I presume it's faux leather. A similar faux leather covers the ear pads, which are very soft and pillowy. The headphones are adjustable at the bases of the headband as the ear pieces are attached via a shiny gold wire loop. This also allows the ear pads to collapse inwards for a more compact storage. 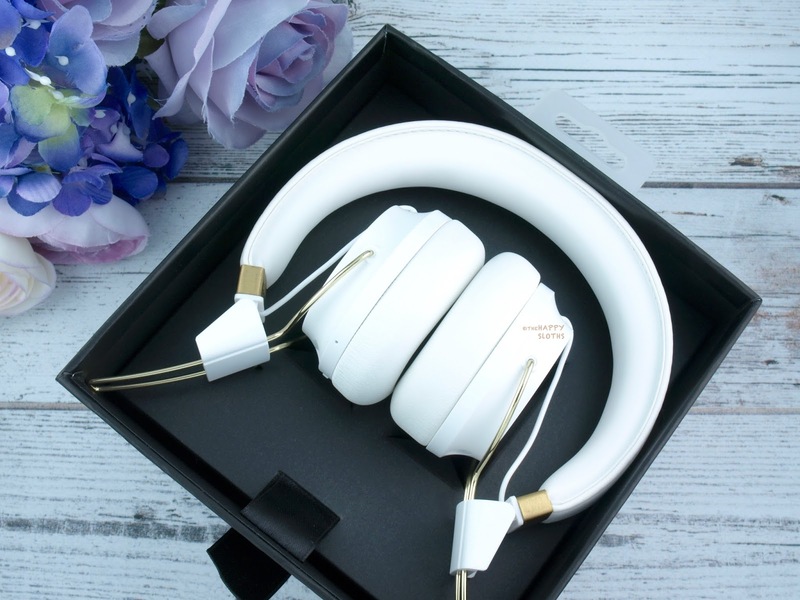 Because the ear pads are so well cushioned, the headphones are very comfortable initially. However, with extended wear, I definitely feel some discomfort from the natural pressure they exert on the ears. 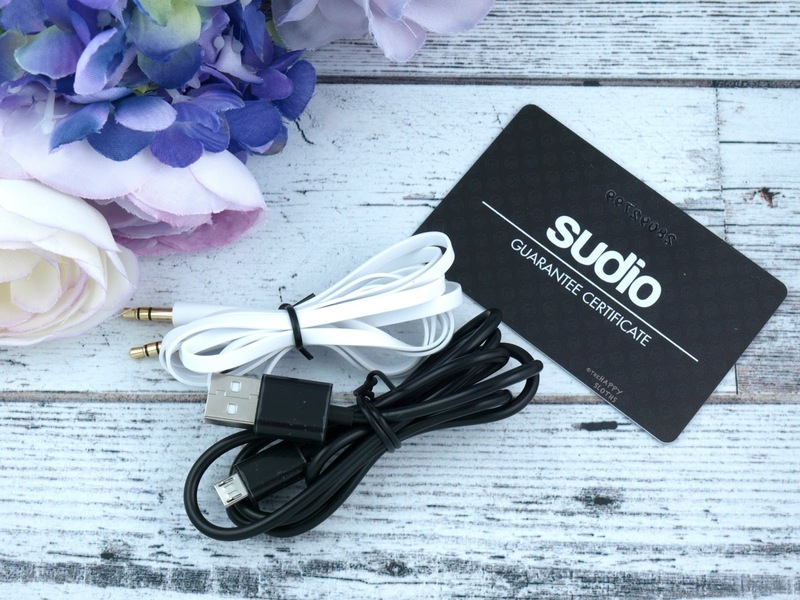 I don't think this is a flaw of the Sudio Regent design but more of a general problem posed by any headphones. 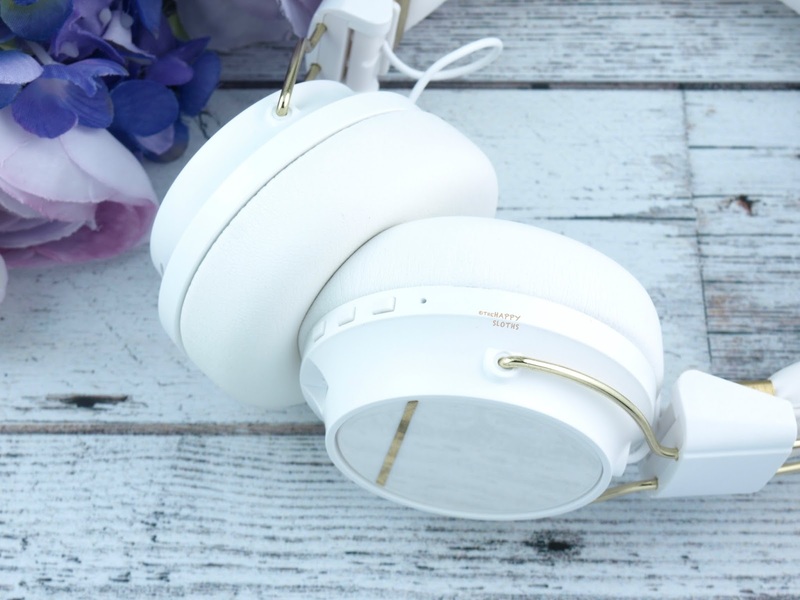 The body of the ear pads are made of a matte plastic material and as I will elaborate later, it features a removable cap that you can easily swap out and replace with one of the other Regent Cap designs offered separately by Sudio for a more stylish look. The headphones include an audio jack so if you wish, they can be used with non-Bluetooth compatible devices. There is also a micro-USB port for charging and a mic for calling purposes. Three buttons can be found on the right ear pad. One is the power and play/pause button while the others control volume. I've experienced a bit of difficulty with the power button. To connect to Bluetooth, and to turn on and off the headphones, the power button needs to be pressed and held for a few seconds. However, sometimes I would press and hold the button and nothing happens. I would then need to re-press and hold for the button function properly. It doesn't happen a lot but when it does, it's a bit of a nuisance. One thing that's noticeably missing from the box is a carrying case. I've never owned a pair of headphones before but I just assumed that they came with a case for safe keeping. Especially with the white Regent, the soft leather surface is highly susceptible to blemishes and scratches and therefore, I can't imagine just chucking them into my backpack without using a case first. Now once again this is where I will provide the full disclaimer that I am no pro when it comes to evaluating sound qualities of headphones or earphones. Nevertheless, I will give my honest amateur opinions. When I think of headphones, I think of a sound that's heavier on the bass to provide that premium studio sound. With the Sudio Regent, however, I didn't get a lot of that. In fact, the Regent sound is pretty comparable to that of a nice pair of earphones although these provide a lot more noise-cancelling. So honestly, the sound is fine, it's perfectly adequate for everyday use but nothing jaw-dropping. In terms of Bluetooth connection, I've noticed the occasional sounds skips but it only occurs every once in a while, so it's not a big issue for me. However, the battery life is fantastic, one charge provides 24 hours of play time so you can probably go at least a week without charging! 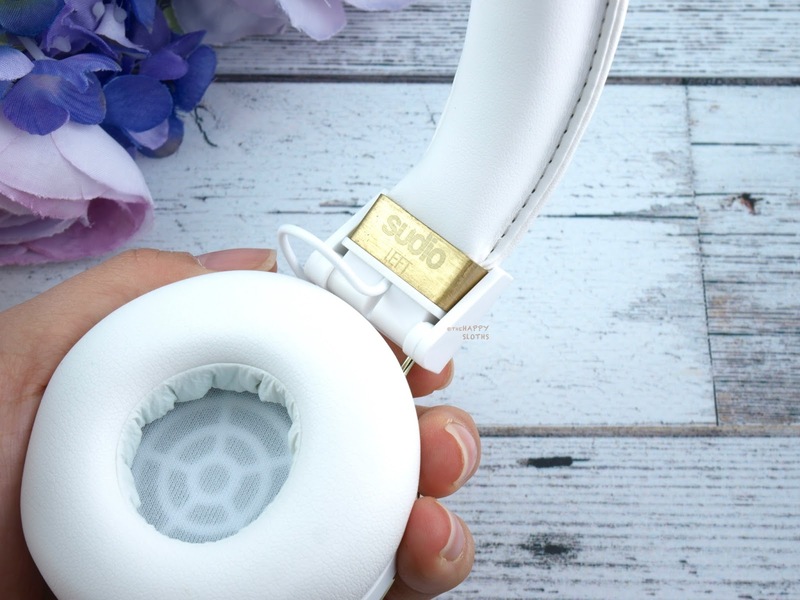 Sudio puts a heavy emphasis on making stylish products and the Regent is truly unique in that you can customize how your headphones look by swapping out the ear pad "caps". 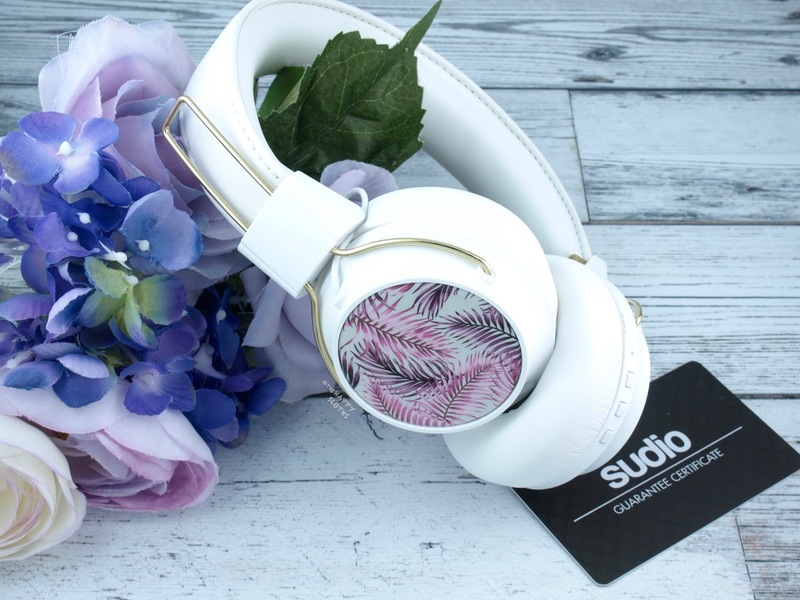 Available separately in four chic and trendy patterns, the Sudio Caps for Regent are essentially plastic discs that you can slide on and off the headphones. I have here the "Selva Rossa" and the "White Marble" design. I'm actually really digging how "Selva Rossa" looks. It adds an unexpected pop of color that's perfect for the summer time. So in terms of concept and design, these customizable caps are pretty darn cool! However, $20 is a bit expensive for what they are. 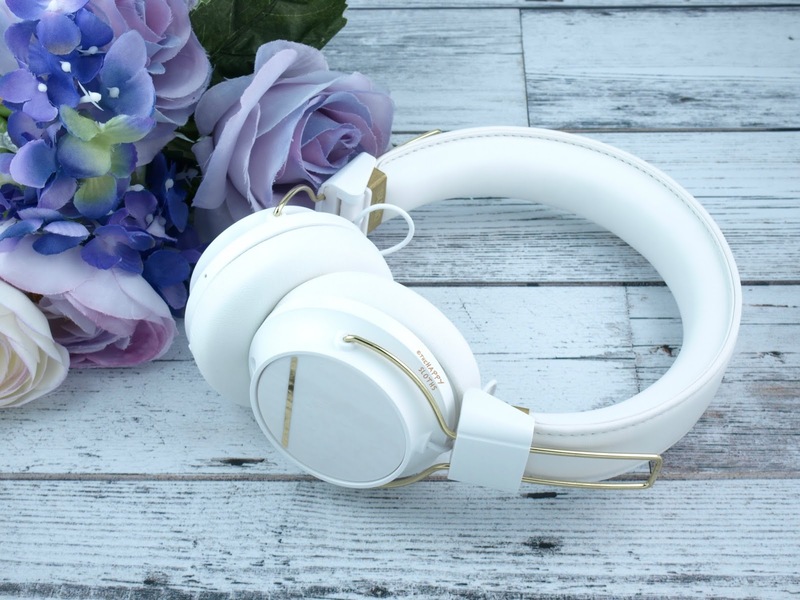 Overall, the Sudio Regent is a very stylish pair of wireless headphones. The sound is perfectly fine for everyday use and the customizable ear caps add an extra splash of design. However, I personally experienced some minor issues with the power button and found the lack of a carrying case a bit of an inconvenience. 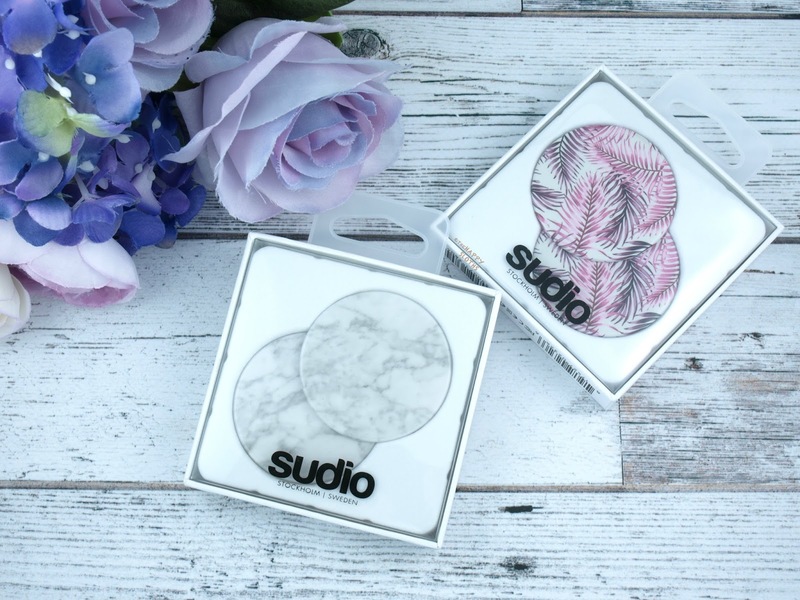 Sudio is available online at SudioSweden.com. Shipping is always free and if you want 15% off of your purchase, use the coupon code "THEHAPPYSLOTHS".